From a cluster of small vineyards – Ponte, Apice, Torrecuso, Bonea and Montesarchio – all in hillside locations at altitudes ranging from 700 to 1,300 feet above sea level, in the vicinity of Monte Taburno within the Sannio district, close to the border with Irpinia. 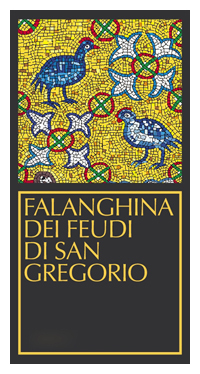 Located at altitudes between 350-600 metres, the vineyards of Feudi Di San Gregorio have extremely varied soil. This great diversity, range of cool micro-climates and the unquestionable ability of their winemakers all combine to produce beautifully balanced, aromatic wines that are seen as some of the best in Italy. The chalky soils around Tufo impart minerality, freshness and length while their Falanghina has an intense perfume and fresh palate packed with fruit and hints of delicate white flowers. It has an intense aroma of delicate white flowers and fruit with great balance and a clean finish. Ideal as an aperitif, it can also accompany various types of appetizers, plates of simple fish, vegetables and fresh cheeses. Greek settlers brought vines bearing what became known as the Italian varietal Aglianico to southern Italy. The resulting wine became a favorite of Roman emperors. Today, Aglianico is considered the top red grape in southern Italy. 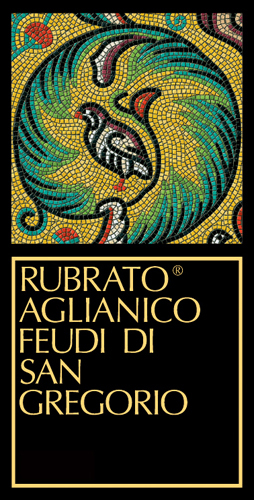 Located in the Campania region near Mount Vesuvius, Feudi di San Gregorio sources its grapes from estate vineyards throughout the rolling hills of the Irpinia subzone. At 1,000 to 1,600 feet above sea level, the microclimate is cooler and more stable than the rest of southern Italy, allowing slow maturation of the fruit and enabling winemakers to craft wines with great consistency. The region’s soils are imbued with sandstone, marl, pumice and volcanic ash, which gives the fruit distinctive character. In the cellar, the wine is macerated and fermented in stainless steel tanks over a 10-day period, followed by a second fermentation in wood. Prior to bottling, the wine spends about eight months in oak barriques. In the glass, the wine offers aromas of dried cherry, blackberry, earth, a hint of spice and toasty notes. On the palate, there are concentrated flavors of ripe dark fruit, cassis, dried herbs and appealing minerality.